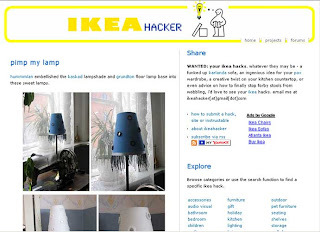 IKEA HACKER is a blog where you can send in your hacks that you made on your IKEA things. I got my hack on some IKEA lamps that I changed with some ribbons and small mirrors published on IKEA HACKER. This is a cool blog where you can get tips and ideas how to change your IKEA stuff.